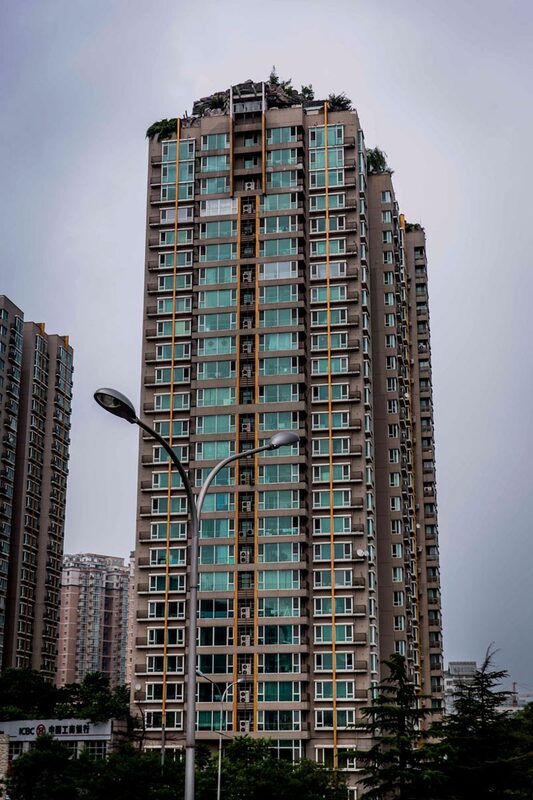 Apparently, good connections in China can help you build an additional construction on top of an existing building without any control from the authorities or restraints caused by complaints from dissatisfied neighbors. 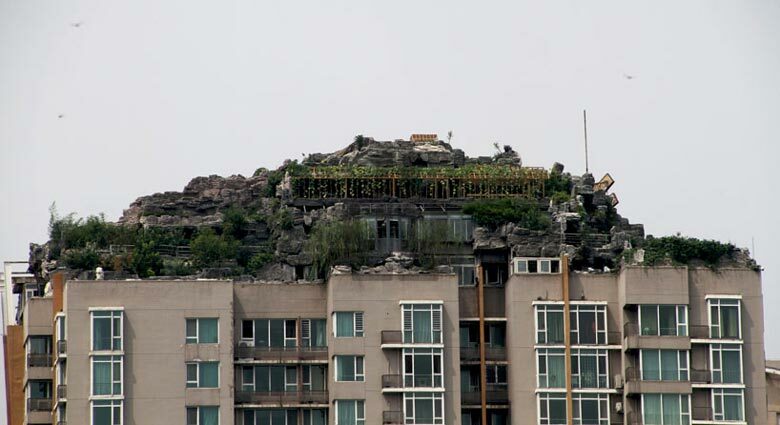 If you are Doctor Zhang Biqing, you can even build a mountaintop villa on the rooftop of a high-rise. This successful doctor of traditional Chinese medicine and owner of a chain of acupuncture clinics constructed the mountaintop villa on top of a 26-storey residential building in one of Beijing’s most prominent areas. 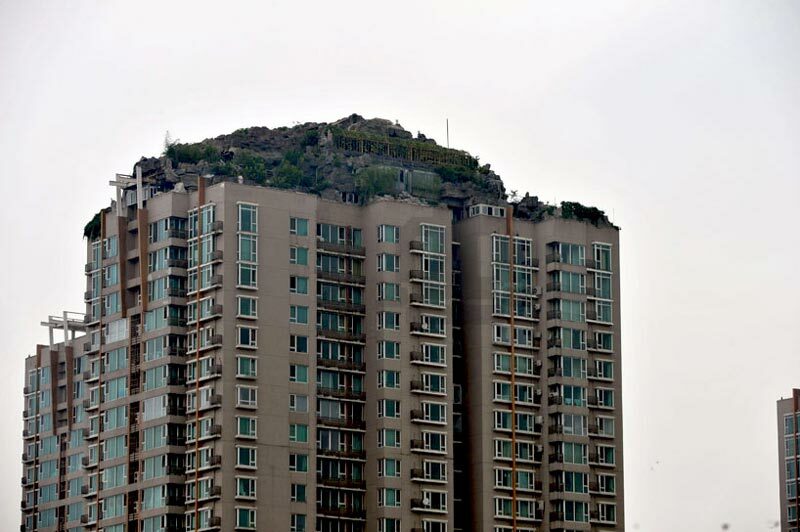 But in order to have a mountaintop villa on a building, first you need to build a small mountain. 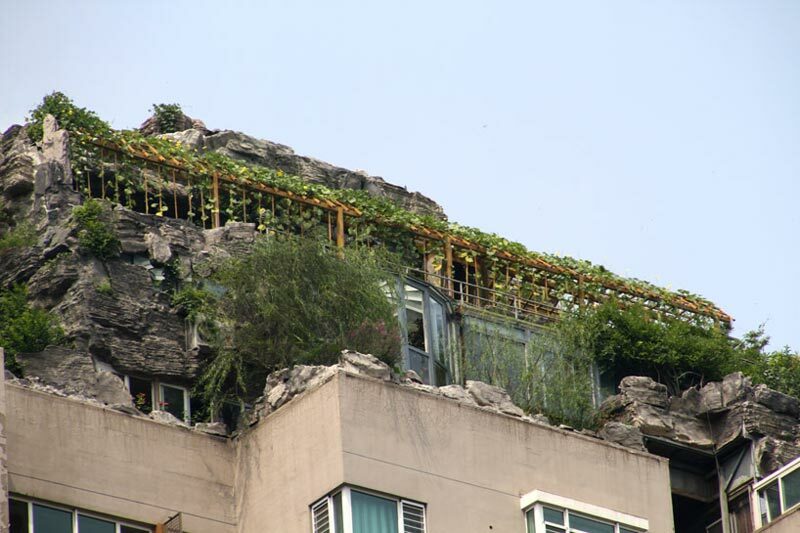 It was constructed using loads of fake rocks, but real trees and bushes and the construction lasted for six years, driving many of his neighbors towards selling their apartments and moving away due to incessant noise, water leaks, walls breaking and generally unsafe environment. 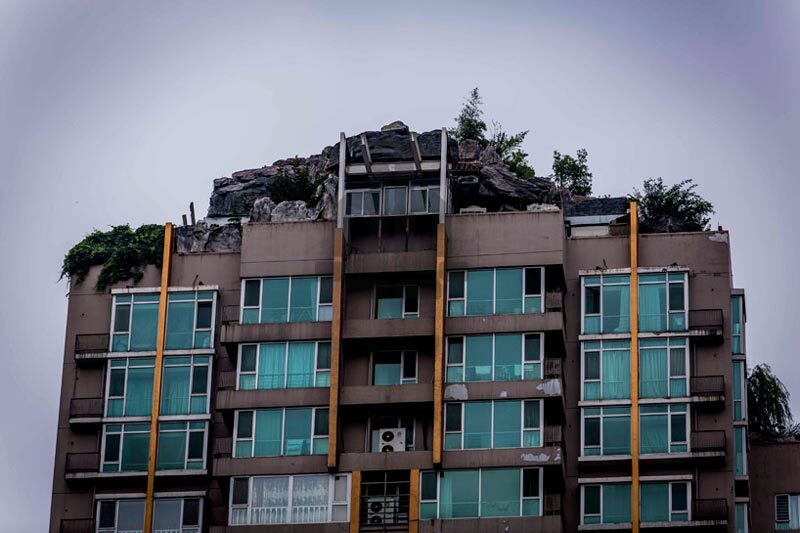 After years of complaints by the residents, the authorities finally decided to do something about the nature-loving doctor’s conspicuous mountain retreat and ordered him to demolish the structure that was judged illegal within the next 15 days. Constructions added subsequently to residential buildings’ rooftops are not a new thing. In many parts of the world, they are a great way to save space and build inexpensive residential solutions, but this process usually requires consent from existing residents and numerous construction licenses from the authorities that will guarantee safety and good measure of the project.